"This is the mistake that highly driven, overachieving leaders make every day. They have soared to the greatest heights on the basis of what they know. But there comes a time when they must rethink everything and ask themselves: What is the gap between who I am and who I want to be, and do I know what it is I still need to learn?" 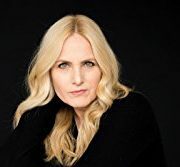 In The Leadership Gap: What Gets Between You and Your Greatness, executive coach and author Lolly Daskal puts her years of consultation and coaching with numerous executives into practical language and the result is a very good read, as the language is accessible and the concepts are universal. This research becomes the basis of the current leadership problem that so many face: What worked in the past does not guarantee success in the future because our world is changing. The way Daskal has written this book allows for anyone to identify themselves and others in the leadership archetypes, and begin to understand the challenges—as well as the gaps—that each present. The main point is that even the most successful leaders can fall victim to their own success and struggle unless they can identify and understand what they need to know: This is what Lolly calls the “leadership gap”. "Being real is the first step to being great. As humans we will never be perfect, but we can be the best version of ourselves. And the way to become the best version of ourselves is to recognize our leadership gaps, leverage our knowledge in new ways, and stand in our greatness. It’s about learning the two sides of who we are—the side that serves us, and the deceptively identical side that does a disservice to us." This seems like such an oxymoron, but regardless of your own personal leadership style (archetype), you can be both a tremendous success and even an epic failure. By understanding this you can control your own destiny and that of your team or organization by merely recognizing your shortcomings and finding the solutions to overcome them. She lays out how for every archetype, there is a “shadow” or the antithesis of that role that often manifests itself by overuse of your strengths. This simple philosophy flies in the face of some modern thought where leaders and employees are encouraged to focus only on strengths. The Rebel, who leads with confidence, but can become the Imposter who is crippled with self-doubt. The Explorer, who leads with intuition, but turns into the Exploiter, a master of manipulation. The Truth Teller, who values candor and honesty, who becomes a Deceiver, who creates suspicion through hoarding information. The Hero, who is the courageous leader, turns into the Bystander and refuses to act. The Navigator, who is trusted and trusts all, changes to the Fixer and leads with arrogance. The Knight, who lives for loyalty becomes the Mercenary and becomes self-serving. "Only when we discover the gaps in our leadership, and confront our shortcomings, can we become truly great leaders." When we realize that our greatest strengths can also be our greatest weaknesses, often because they are blind spots, we can become better versions of ourselves. Through understanding our personalities, we can begin to develop a clearer sense of what has lead us to success, and then by analyzing what can happen if we overuse that strength, we can see what remains hidden from us—but is obvious to those we work with. Regardless of which archetype you identify with the most, there are examples of each who are universally recognized as leaders. The key to success is to understand your strengths, and weaknesses, and to leverage the positives and work around your blind spots to maximize your leadership potential. Regardless of how you lead, you can be the best version of yourself by being honest and authentic and working hard on your skills. Leadership is not given, it is earned every day. "If you think your behaviors and your actions don’t matter, then think again." When things are going great we need to ask ourselves why and what we can do to keep it going… and when things start to turn sour, we need to abandon our pride, and ask ourselves what we need to do or change to resolve issues before they become magnified. When do you feel like an imposter? In what ways to do you explore as a leader? In what ways do you use manipulation to get what you want? Do you evaluate decisions and situations based on your gut feelings, or after through analysis—or both? In what ways is speaking with candor important to you? What would cause you to speak up? When do you think it’s okay to lie or mislead? In what ways do you face fear despite your struggles? What would you do differently if you had nothing to fear? Do you ever worry that you are a bystander? Why or why not? Why is having a higher standard important to you? In what ways does recklessness cause problems for you? Who comes to you for counsel, and why? In what ways do you give advice when it has not been asked for? Why is being of service to others important to you? Do others consider you to be arrogant or self-serving? Why? The Leadership Gap is a truly enjoyable book, one that I consumed in a single sitting because I wanted to understand more about myself and others with whom I interact. This book is an essential tool in honing your leadership skills, not because it provides answers or short cuts, but rather because it asks questions that force you to dig deeper into yourself, into your strengths and weaknesses, and identify those areas where you can make the most impactful change. Daskal’s hope is that you will not read this book once and put in on your shelf, but review and reassess, during successful times and, more importantly, during times of struggle, so that you can re-evaluate your leadership and resolve potential issues before they become major conflicts.